Tirana's nightlife is coming along in leaps and bounds. For many, the fun still starts with the lively and traditional xhiro (mass evening stroll), and ends more often than not somewhere in the bustling blloku area in the early hours of the morning. The biggest change of late has been the slow but gradual adoption of hipster culture, a welcome addition to a scene that for too long has been dominated by the Fashion TV crowd and the kind of people who still think Led Zeppelin are relevant. As is the case in many Balkan cities, there's a fine line between cafés, bars and clubs in Albania, making some of the venues we list difficult to pin down exactly. Note that Albanians still prefer sipping coffee to serious drinking, with foreigners often being the only ones knocking back the hard stuff. 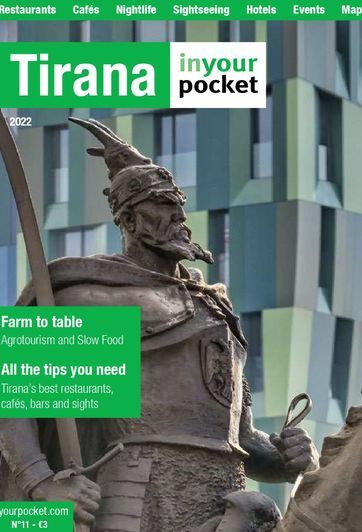 Perhaps the best news of all to those who’ve just got off the ship is that Tirana’s relatively compact size and busy nightlife scene mean there’s an awful lot of variety within easy walking distance.